Submit a completed application form, ensuring every section is completed with all compulsory supporting documents attached, or your application may not be considered. If your application meets our criteria you will be requested to book and write the National Benchmark Test, which is designed to assess your Numeracy and Literacy skills. If you have already written the NBT, you must attach a copy of your results to your application form before submitting it. If you have not written an NBT, you will have to book and register the next available date here. To progress in the selection process you may be invited for an interview to assess your entrepreneurial and leadership achievements, attitude and compatibility with the TSiBA culture. This also provides an excellent opportunity for you to also meet TSiBA staff, ask questions and assess TSiBA for yourself. 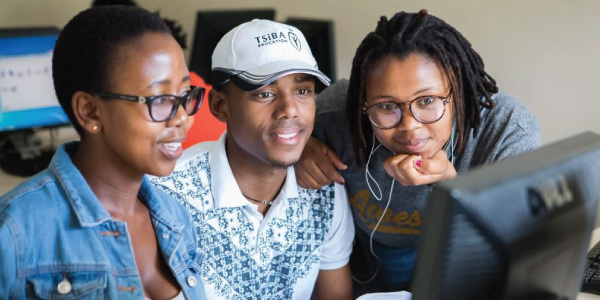 If you are in Grade 12 at the time of application, TSiBA may offer you a notice of provisional acceptance based on good academic results, interview results, NBT results and other evaluations. Please note: A final offer can only be made once TSiBA has received a certified copy of your final Grade 12 results. Applicants who have already completed Matric must provide a certified copy for final assessment. Successful candidates will be invited to attend a 1-day Orientation at our campus to meet fellow students and Academic staff, at a date to be confirmed. Get involved with the student community at TSiBA! 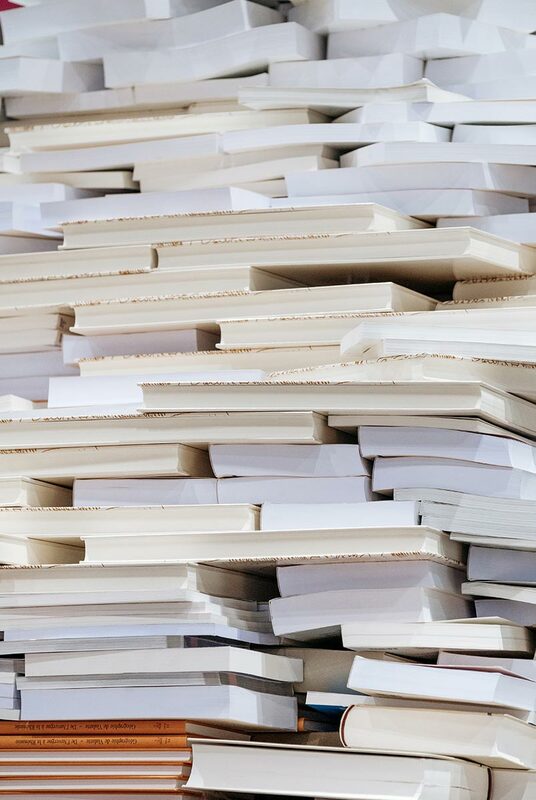 Whether you are a sport fanatic or a bookworm, there is a society for you. Grapple with your subjects in the well-rounded and individualised classroom setting, where you will be able to acquire new knowledge apply the new concepts to practical case studies! Registered with the Department of Higher Education and Training as a Private Higher Education Institution under the Higher Education Act, 1997. Registration certificate no. 2007/HE08/001. The TSiBA curriculum emphasises the process of hands-on learning through practical work and field experience. 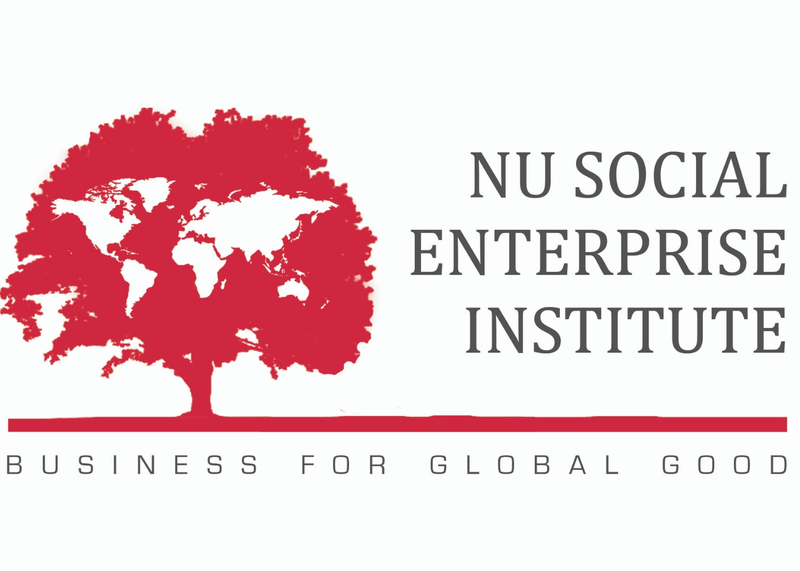 Integrated systems thinking, problem solving, innovation, creativity and ethics are the foundation for all our courses. The guiding question for this year is, “How do I add value?”. Students are expected to display higher order thinking skills such as discernment, systems awareness, curiosity and the ability to deal with complexity. In Year 2, the student can select the Marketing or Finance stream. The curriculum consists of two compulsory year courses, six compulsory semester courses and a choice of two or three elective semester courses, depending on whether the student selects the Finance stream. Each semester equivalent carries 10 credits to earn 120 credits towards the degree, All courses in the first semester are compulsory, with electives available in the second semester. 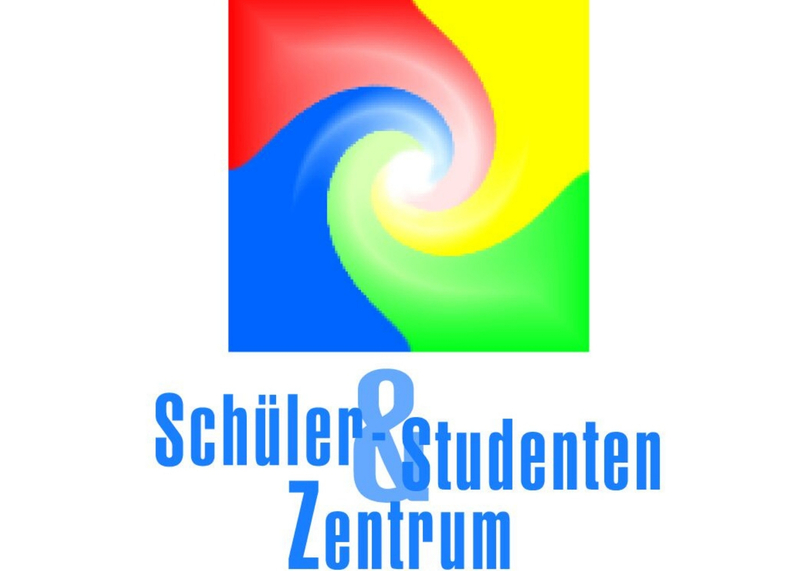 The guiding question for Year Three is, “What is my work?” At third-year level, students are expected to be able to integrate values, beliefs, feelings, rational observations and analysis into an effective and authentic way of being in the world. 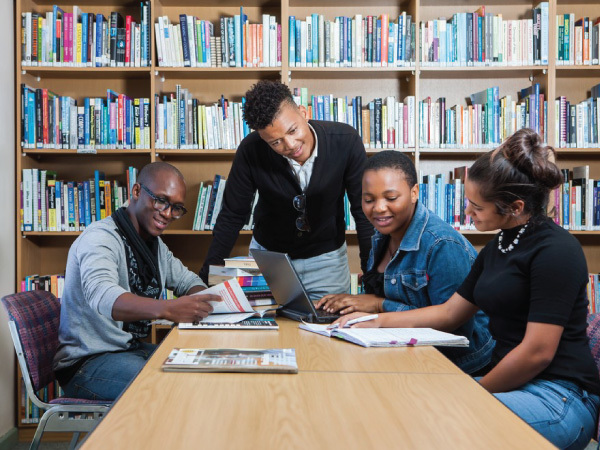 In its final year, the TSiBA Bachelor of Business Administration consists of 4 compulsory semester courses, an internship and one specialist exit level course, in the two streams (Finance and Marketing streams). What are the minimum entry requirements to study a Bachelor of Business Administration at TSIBA? 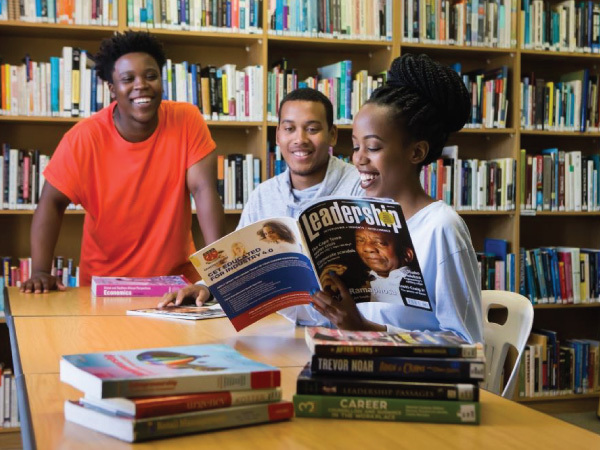 TSIBA requires a completed National Senior Certificate (NSC) when you apply to study. Your NSC will be given to you when you finish Grade 12. Your NSC must have a Bachelor Pass in order for you to take part in any of our undergraduate degrees. 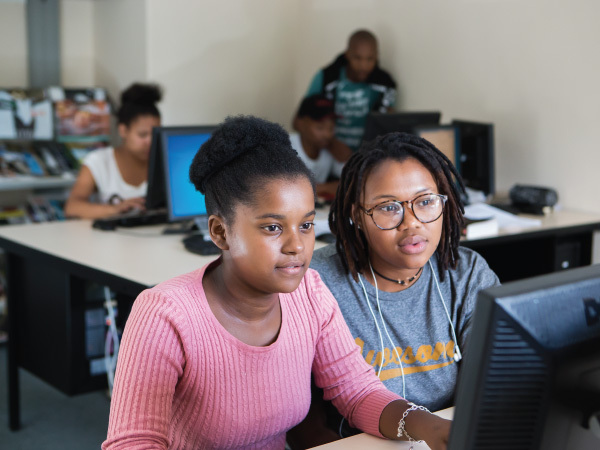 You can also apply while you are still completing Grade 12, but you will still need to get a Bachelor Pass in your final Grade 12 results to be accepted into TSIBA. 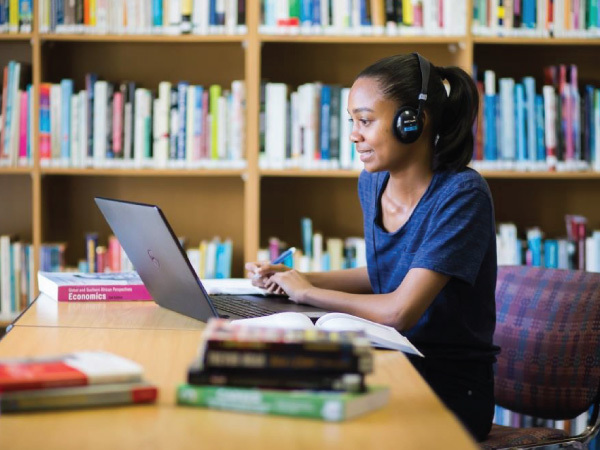 The National Benchmark Test (NBT) is a test designed to see how well you will perform in a university environment and is available to students from all over South Africa. 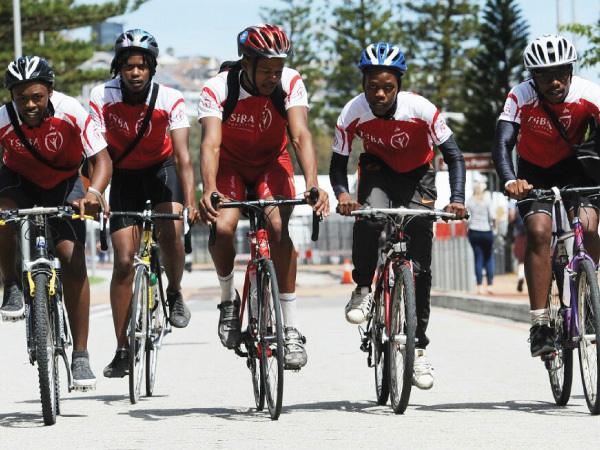 In order to apply to TSIBA, you will need to complete an NBT and include your results in your application. 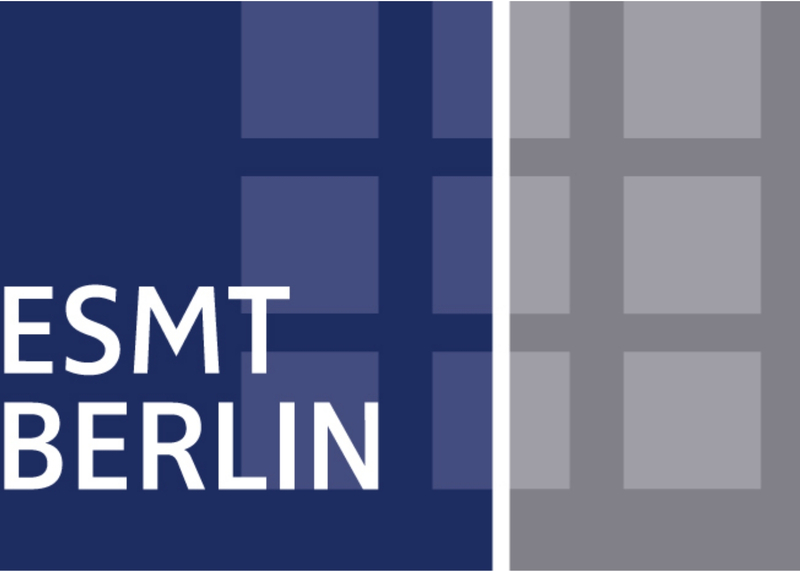 The NBT measures students on three areas: Academic Literacy, Quantitative Literacy and Mathematics. Click here find out more about the NBT or to book your test. 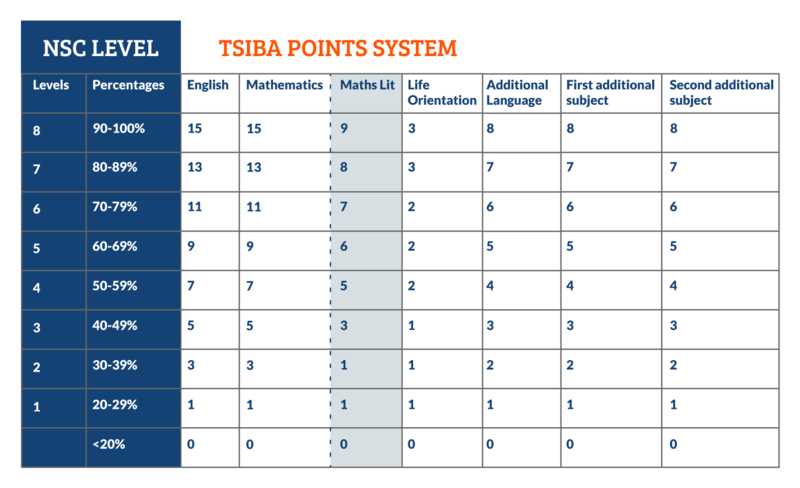 TSIBA measures your Grade 12 results against a points system to determine whether you qualify to study with us. You will need to score at least 27 points to qualify. The subjects we score are divided into two categories: compulsory and additional subjects. The points system will only score six subjects, which include four compulsory subjects and two additional subjects. We will always use your highest marks to score wherever possible.